Former British Prime Minister Harold Wilson was born in Huddersfield. Britain’s largest nodding dog, which stood 11 feet tall, was created in Huddersfield for the Dogs Trust. In 1926 Huddersfield Town Football Club became the first team to win three successive league titles, a record which has been matched but never bettered. Enthralling stuff and invaluable pub quiz knowledge I’m sure you’ll agree. Well, finding out about the size of Kirkless Council was about the most exciting part of an away visit to Huddersfield during dreary January. The football, which continues to be, was suitably woeful with neither side capable of springing anything like an organised attack. In keeping with the generally haphazard football Fulham’s goal came from a wayward back pass, while Huddersfield’s was courtesy of some generous set-piece defending. Someone should really tell the Fulham players they are allowed to head the ball. My peppered steak pie, which even looked grumpy, was the classic hard as a rock on the outside, sloppy as you like on the inside. 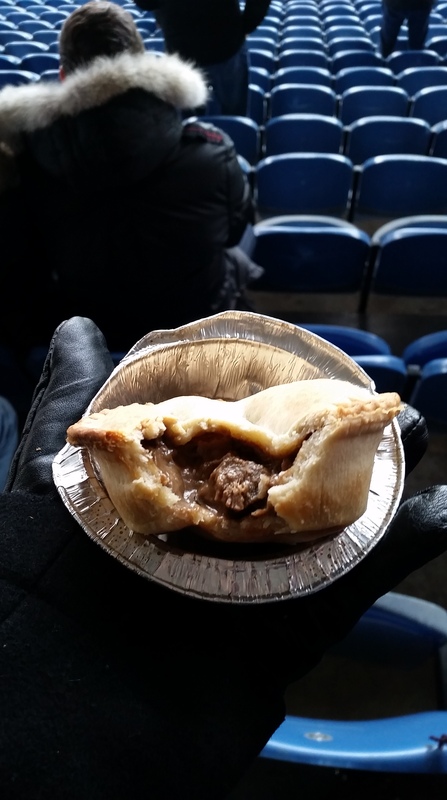 The pastry was rigidly tough and had clearly been modelled on the clumps of dried mud that fiercely cling to football boots. After banging two pies together in order to break them apart, I spied some steak which, out of context, could well have been horse or dog meat. It tasted like beef so one can only hope for the best in such situations. Overly peppered, enough to make me sneeze most of it across the man in front, and a tad gristly made this a rather unenjoyable episode in a rather unenjoyable away trip. Despite everyone from to Jokanovic to Pickles the World Cup finding dog attempting to manage Fulham this season the poor form remains. 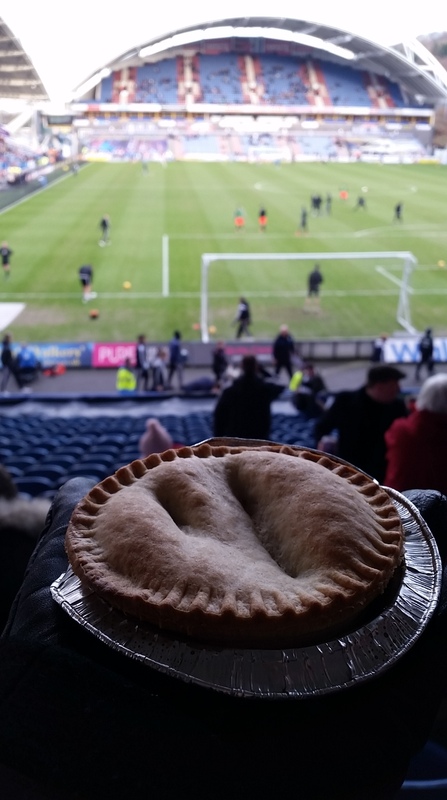 Perhaps League One beckons again, at least we’d have some new pies to eat and facts to learn about Burton and Bury.